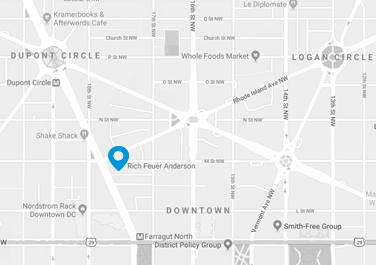 WASHINGTON, July 10 — Rich Feuer Anderson, LLC (“RFA”) today announced that former Deputy Assistant Secretary at the Department of Treasury, Jared Sawyer, has joined the firm. As a Principal Jared will provide clients strategic advice based on a deep background working in Congress, the Executive branch and the private sector. RFA is a bipartisan strategic advocacy and advisory boutique catering to financial services and technology clients. Jared joins the accomplished RFA team from Treasury where he served as Deputy Assistant Secretary for Financial Institutions Policy. At Treasury, Jared directed policy related to financial institutions, insurance, and cybersecurity. Further, he served as a key member of Treasury’s housing finance team and was a leader in the publication of Treasury’s public policy reports. Jared previously worked as Senior Counsel on the Senate Banking Committee for Chairman Mike Crapo (R-ID). In the House of Representatives, Jared managed the operation of a key Financial Services subcommittee under Chairman Randy Neugebauer (R-TX). “RFA is growing, and this is an important time for the industry to be engaged in Washington. Jared has the depth of knowledge on the issues our clients care about enabling us to further design and implement effective strategies that shape policy outcomes,” said founding partner Peter Rich. “Jared is an excellent strategist. He started in the private sector then quickly rose up the ranks on the Hill and in the Administration. His senior level experience and substantive background will allow him to contribute immediately and enhance the firm’s advisory practice,” added partner John Anderson. “We are thrilled to have Jared join the RFA team. He will be valuable to our firm and help serve our clients,” added founding partner Mitchell Feuer. “I’ve worked with the RFA team for many years and look forward to building on their 15 years of success. RFA stands out for its deep policy knowledge and strategic advocacy on behalf of its clients. Their collective corporate and government experience makes them a leader in providing counsel to the financial sector,“ said Jared Sawyer. Jared received his B.A. from Holy Cross College and his J.D. from the University of Louisville School of Law.